Smart piece here. 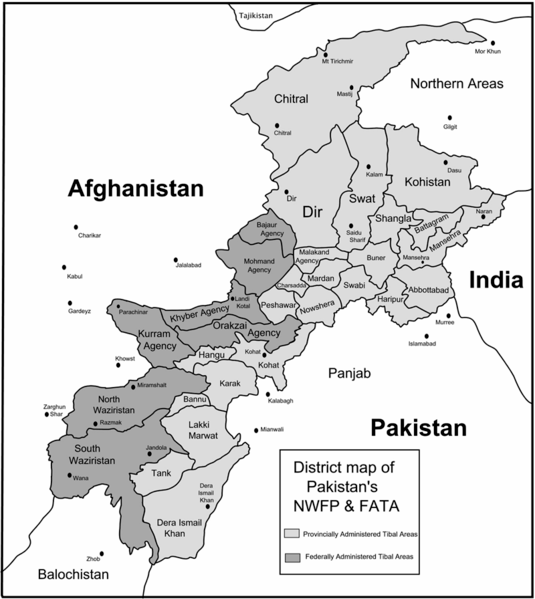 Why trying to export the so-called Anbar Model to the FATA (Federally Administered Tribal Areas) of Northwestern Pakistan is a non-starter. The Anbar model worked in Iraq by exploiting the divide between by the non-Iraqi and radical Salafi al-Qaeda in Iraq and the tribal, (non Salafi) Sunni Iraqi leadership. In Pakistan, nothing like this exists. The FATA tribes show no sign of tensions with AQSL. The Times reported that many of the same tribes that would form the basis of a FATA Awakening still actively fight alongside the Taliban — as do elements within the Interior Ministry that would be responsible for nurturing the Awakening. Within SOCOM, which has developed the proposal, analysts have no idea whether the tribes would accept or reject American support. In short, the basic strategic condition that allowed the Anbar Awakening to exist — a split between Iraqis and al-Qaeda — isn’t in evidence here. All sorts of other potential problems arise: for one, this potential paramilitary tribal force, with its minimal control by Islamabad, wouldn’t augur well for the internal stability of a nuclear-armed country. But without the basic FATA/AQSL split, it makes no sense to consider such second-order questions. And in that case, flooding the FATA with money and guns is about as wise as making a blank check out to Osama bin Laden. John Robb echoes similar sentiments here.